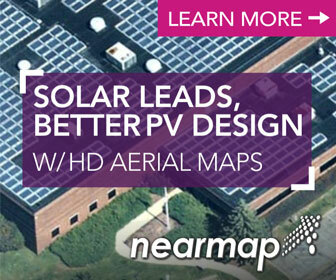 Manufacturing the world’s gold standard in reliable solar tracking, Array Technologies has stood the test of time. Array’s 30th anniversary in 2019 marks three decades of industry leadership. Over its 30 years, Array has established itself as a pioneer not only in the solar tracker industry but in the solar industry as a whole. Array has been a critical partner in the marked growth of single axis tracking applications which are now utilized in upwards of 80% of all utility-scale installations. Early installations from Array helped the PV industry achieve significant cost efficiencies and increased energy output. Array’s pioneering nature continues with the expansion of its presence in emerging solar regions such as Australia and Latin America. With a proven history of meeting and exceeding investor expectations, Array continues on a path to push the industry forward. 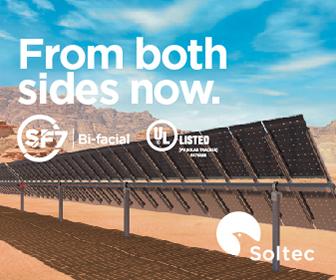 Recently, the company introduced their newest innovation, the self-learning assisted SmarTrackTM, which automatically optimizes tracking to allow bifacial and split-cell modules to capture the most energy. “To this day, Array is still driven by an entrepreneurial spirit that causes us to constantly push new boundaries to benefit both our current and future customers,” said Fusaro.